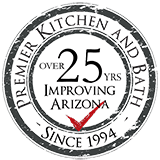 Our NKBA certified (CKD) designers will examine your existing kitchen and create a beautiful new remodel floor plan that embraces your family’s lifestyle in both form and function. Whether it is a straight forward update or a complete build-out from the studs, Premier Kitchen and Bath brings creative ideas to the table that will educate, inspire, and excite you. Sometimes existing Kitchens are enlarged, added-on to the house, or relocated to other areas of the home. This often leads to updating of other areas of the home as well. The foundation of good design starts with a functional floor plan. Our client’s lifestyle, family size, budget, and long term plans for their family are all taken in to consideration while we develop a general space plan for your remodel project. Remodeling projects require quite a few specialized skill sets that are not often found in one place. A qualified remodeling contractor, kitchen and/or Bath designer, and product showrooms/ suppliers to name just a few. Often the assistance of an interior designer is requested to help select or coordinate paint colors, window coverings, furniture, and the like. Premier combines all of these talents under one umbrella. This helps ensures a cohesive design and a stress-free remodeling experience for our clients. Premier can design, furnish, and install all the necessary components (see product procurement) to facilitate a complete kitchen remodel. In addition, we will handle necessary permits, inspections, job-site protection, demolition, disposal, concrete, framing, plumbing, electrical, HVAC, insulation, drywall, painting, and any other trades that may be needed. The availability of alternative types of countertop surfaces are abundant today. Premier has experience in the fabrication and installation of natural stone, quartz, solid surface, concrete, exotic wood, and laminate countertops. 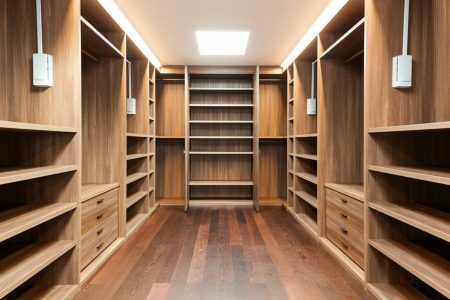 Our experienced designers and competent craftsman have designed and installed many custom cabinetry packages for owner/builder clients and custom home builders. Our attention to detail and ability to work as a team player has set Premier apart from many others who have tried to provide this vital role in the home building process. Premier carries a wide assortment of top quality appliances and is an authorized Sub-Zero/Wolf dealer. Whether you are replacing a failed appliance or updating your entire kitchen, Premier has the ability to modify your existing kitchen to accommodate most products available. Built-in refrigeration, decorative paneled fronts, under-counter ice-makers, and built-in coffee centers are only the beginning.